CHRISTMAS day will be coming a little earlier than expected for some motorists in Cebu City. As a temporary solution to the banning of motorcycles-for-hire (habal-habal), motorcycles recently impounded for counterflowing without other pending traffic violations and/or unpaid fines will be released by the Cebu City Transportation Office (CCTO). The announcement was made by Mayor Tomas Osmeña on Thursday, Dec. 13, during his speech before barangay tanods at the social hall of the Cebu City Hall. “In the spirit of Christmas, I will grant spot amnesty. Ang mga tawo way motor kay na-impound. Mosakay na lang sila sa Angkas. Unya wala na may Angkas. All the impounded motorcycles now at the SRP (South Road Properties) will be released,” he said. Osmeña’s order, though, covers only the motorcycles of first-time offenders. Motorcycles that were impounded for the second time will remain at the impounding area. 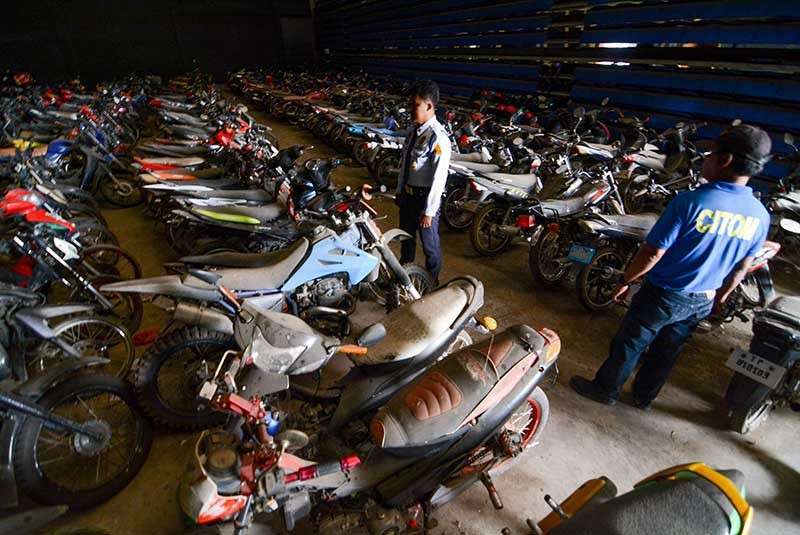 In an interview, CCTO Operations Chief Francisco Ouano said that once the “amnesty” is in effect, recently impounded motorcycles will be released regardless of the number of days the motorcycle has been in the storage and did not meet the minimum 30 days impounding period. This would also mean that the owner doesn’t have to pay P3,000 in storage fees, but just P100 for every day the motorcycle was in the custody of CCTO. The CCTO will release the motorcycles of some 500 first-time offenders as soon as Osmeña issues the order. The Supreme Court, last Wednesday, Dec. 12, issued a temporary restraining order against a Mandaluyong court ruling that barred authorities from intervening in the motorcycle ride-hailing firm’s operations, indicating that Angkas drivers may now be apprehended. The Land Transportation Franchising and Regulatory Board (LTFRB) said that all motorcycle drivers that take on paying passengers, with or without the aid of the Angkas application, will be apprehended, fined and their motorcycles will be impounded by the third violation. In separate interviews yesterday, Land Transportation Office (LTO) 7 Director Victor Caindec and LTFRB 7 Director Eduardo Montealto said they have not started apprehending Angkas and habal-habal drivers yet because they are still waiting for a copy of the Supreme Court decision. 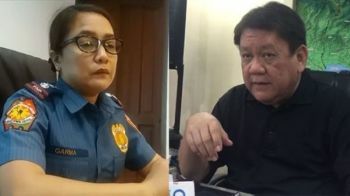 Even as he decided to grant the amnesty, Osmeña stressed that the anti-counterflow measure will still be in effect and that traffic enforcers will continue to apprehend violators. “Let’s be clear, we’ll continue the anti-counterflow (measure). This is just a spot amnesty, but we won’t stop arresting anyone. I hope they learned their lesson and they will follow the law,” he added. Executive Order (EO) 34 penalizes motorists who counterflow or drive in the wrong lane against oncoming traffic. The CCTO will impound for 30 days the vehicles of drivers who will be caught counterflowing, while second-time offenders will have their vehicles impounded for 60 days. Aside from impounding the vehicle, the City will collect charges of P15,000 for trucks, P9,000 for light four-wheeled vehicles and P3,000 for motorcycles, as storage fees for 30 days. Since its implementation last February, the CCTO has impounded a total of 6,000 motorcycles. Ouano said there are around 500 motorcycles currently kept in the storage area at the SRP for counterflowing. He said they apprehend an average of 50 motorists a day. “The mayor instructed us to release them, so we can’t do anything. But then he probably thought that many will need these (motorcycles). To ensure that they will not abuse, we are keeping track of our records,” he said. Ouano emphasized that the motorcycles of second-time offenders will remain at the impounding area, and are not part of the mayor’s “spot amnesty” grant. “Ibilin ang mga motor sa mga second-time offenders nga nasilutan og 60-days nga pagka impound,” he said. In a Facebook post dated Dec. 13, a few hours after his speech at City Hall, Osmeña lamented that the ruling on Angkas is “detrimental” to many people in Cebu City, especially with the absence of alternative means of transportation in the mountain barangays.